The RDO-3932 Light Armoured Base Vehicle is the longest, 6x6 version of the Komondor vehicle family. It is powered by 450HP common rail, turbo charged diesel engine. The drive line consists of the six gear automatic gearbox with retarder, three speed transfer case and independent suspension system. 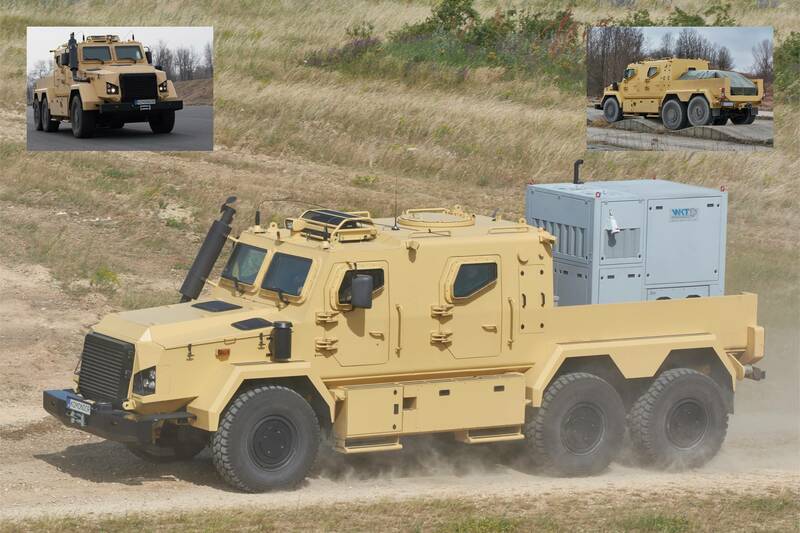 The welded monocoque body is made from armour plates and with the inner spall liner cover it can provide L2+ ballistic protection according to NATO STANDARD 4569. This protection level can be raised with add-on elements up to L4. The basic mine blast protection is L2a/2b but it can be raised according to needs up to 3a/3b. The half body structure provides wide range of possible variants. It could be used, for example, as logistic, weapon carrier, special platform or recovery vehicle. It can carry 9000 kg load.